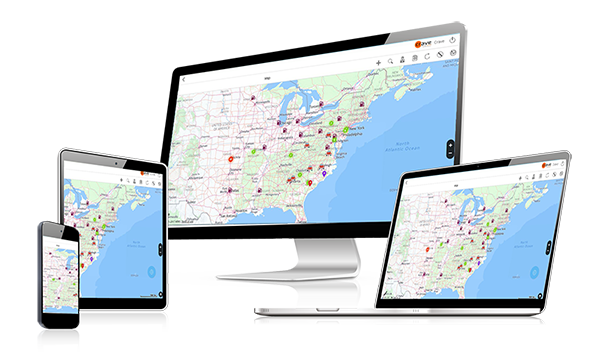 Track My Assets or GPS Asset Tracking Application will help track and display the current status of the fixed or immovable assets (e.g. transformers, poles, hydrants, mains) of the organization. This solution will allow the user to capture asset details with location and image. The user can create a job for the asset and assign it to a technician. In the case of inspecting inventoried assets authorized user can create list of assets to be inspected by date for each field inspector. Upon log on the smart phone application will download the assigned asset details for him to inspect. Field inspector can modify or add new assets along with all the details mentioned above which will be automatically posted to the server once inspection is completed in the field. The assets will be placed at the right geo location on the map with all the information captured. This eliminates all the paperwork and potential errors while inventorying assets. Using weather proof GPS devices the field assets can be tracked to ensure they are located where they should be. Normally these masters are set up once at the initial system setup. There are mass upload tools available to create these masters from a spreadsheet. This has multiple layers of authorizations to protect the data integrity. Asset inspection due: based upon the inspection cycle system will generate alerts for the asset due for inspection. Asset retirement: based upon the Asset life cycle system will generate alerts for the asset due for retirement. Asset movements: If immovable assets are moved then it will generate alerts to avoid potential theft.